Tony has been working with Rob before Konen’s was Konen’s Pittstop. After serving in the U.S. Army, Tony began working for the Konen’s family. He left for a brief period and worked as an airplane mechanic. When Rob reopened the garage as Konen’s Pittstop Tony came back. 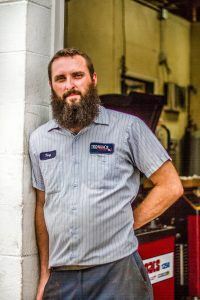 Tony has 7 ASE (Automotive Service Excellence) certifications and is able to diagnose the most difficult mechanical failures.